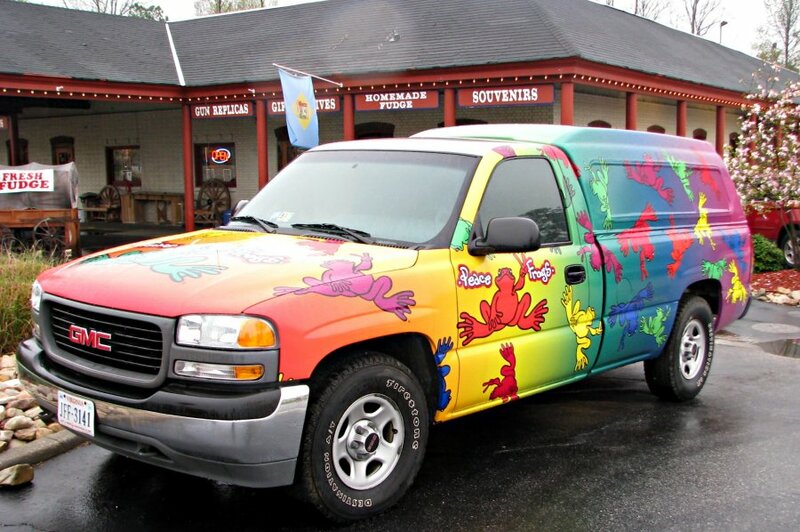 A very colorful truck parked in front of a store in Virginia. The world needs more Peace Frogs. Colorful and eye catching auto.